Sizing Notes: One size fits most adults and children. 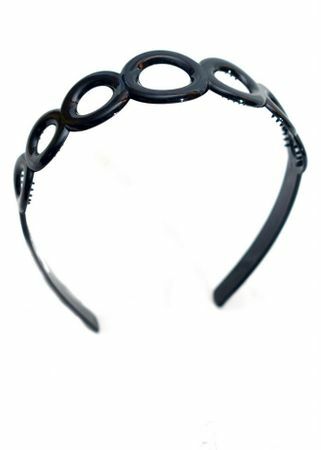 Mod style black plastic headband with circles across the top and combs underneath to help it stay in your hair. One size fits most adults and children. Makes a great accent for a 1960's costume!